Born the second of 10 children in Youngstown, Ohio, to wonderful Irish-Catholic parents, Fr. Manning attended Catholic grad and high schools, something for which he will always be grateful. In 1970, he entered the seminary to see if he would like it, and it seems so, as he was ordained to the priesthood for the Diocese of Youngstown, Ohio, in July, 1978. God has blessed him with the opportunities to be a parochial vicar, high school teacher and administrator, campus minister, pastor, seminary professor and vice-rector and a professor in a number of settings at the university level. This has brought him to his present position at Walsh University. In the past, Fr. Manning has taught a variety of courses on the Old and New Testaments, church history, the Gospel of John, Scripture and the Catholic Tradition and, in the graduate school a course on The Development of Doctrine. The aim of his teaching is to engage the students' creative imaginations by challenging them to see that their experience life experience so far has been a "religious" experience. The aim is to assist students, through their experience reading, studying and class discussion, and by reflecting on their life experiences, to see the necessary marriage (and thus compatibility) of faith and reason. More, students are then challenged to see their own personal "stories" in the context of the "big" story", i.e., God's love for them in Jesus, and their call to be with their Creator, face to face, in life eternal. Fr. Manning's areas of concentration are historical theology and systematic theology. He has a special interest in the confluence of theological anthropology and existential phenomenology, as the marriage of faith and reason, held so dear in our Roman Catholic Tradition, has always been an attraction for him. 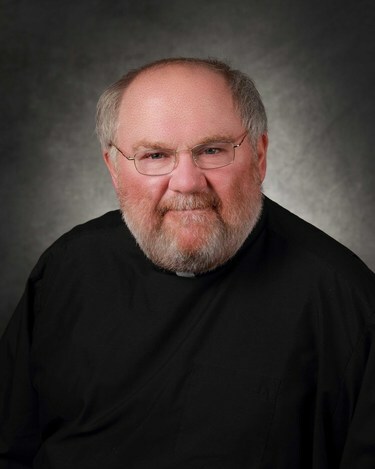 He has done extensive work in the past in studying the Anabaptist tradition in general and the Old Order Amish in particular, and his area of expertise in his doctoral work (and continued interest), has been the person and work of Blessed John Henry Cardinal Newman. Besides offering sacramental assistance in various parishes and institutions in Youngstown and other dioceses, Fr. Manning has been involved in vocations works, countless diocesan and university committees, and fundraising for Catholic Charities. He has also led spiritual pilgrimages, participated in panel discussions, radio and press interviews, Lenten and Advent formation series, and sacramental preparation. Manning, Patrick. “The Spiritual Summons to Rome: The Oxford Converts’ Call and Response to Holiness." Conscience: The Path to Holiness (A Walk with Newman).Ed. Edward Jeremy Miller. Newcastle upon Tyne: Cambridge Scholars Publishing, 2014. 66-84. Print.